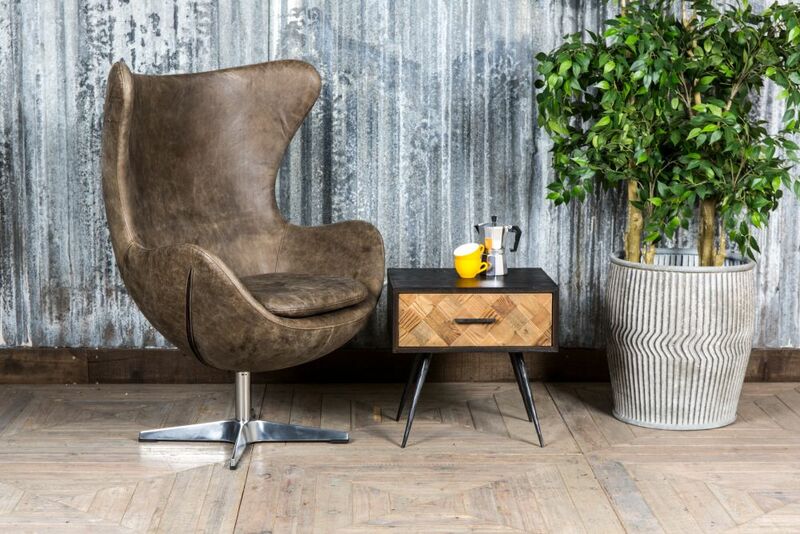 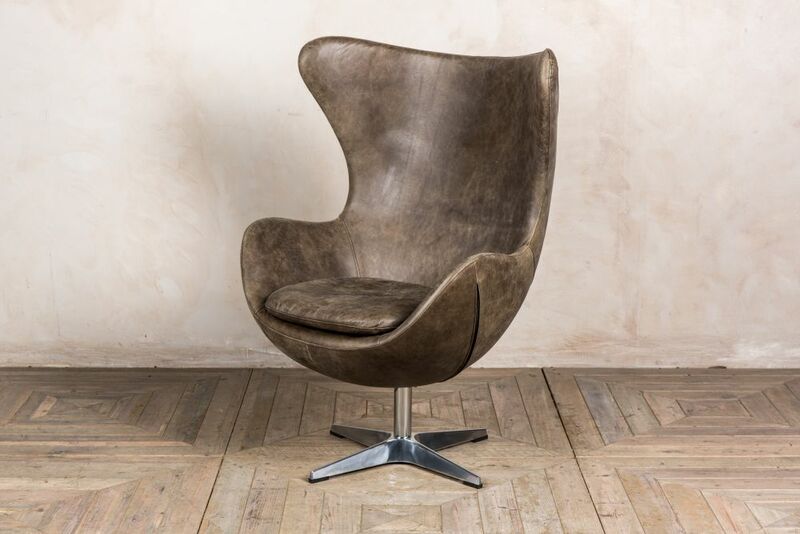 This retro swivel egg chair is a quirky piece of vintage style furniture, ideal as a feature chair in a mid-century modern inspired space. 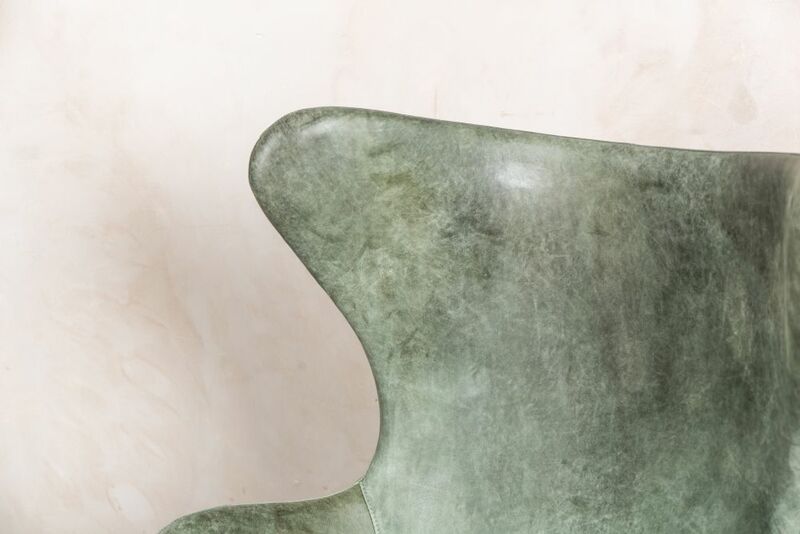 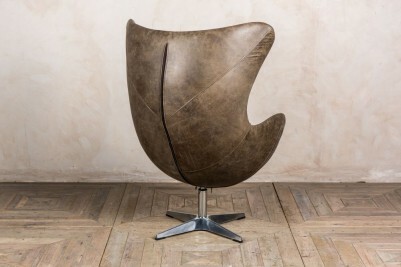 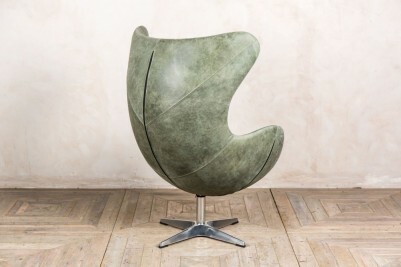 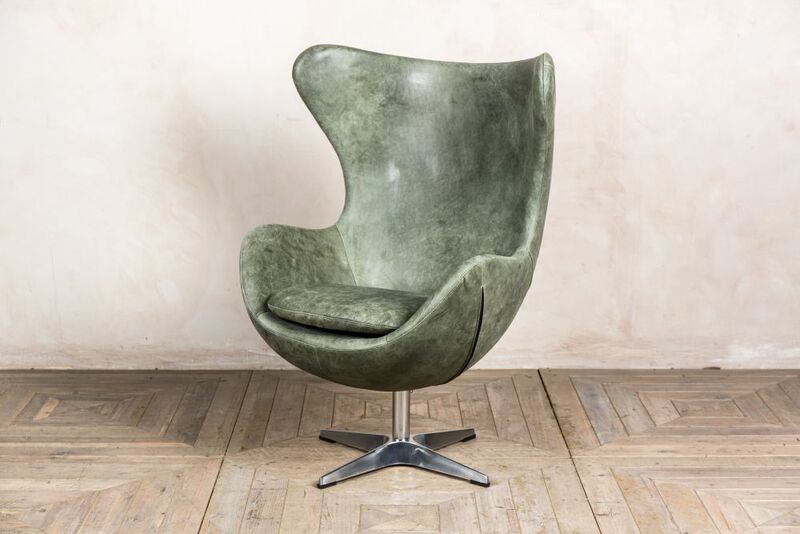 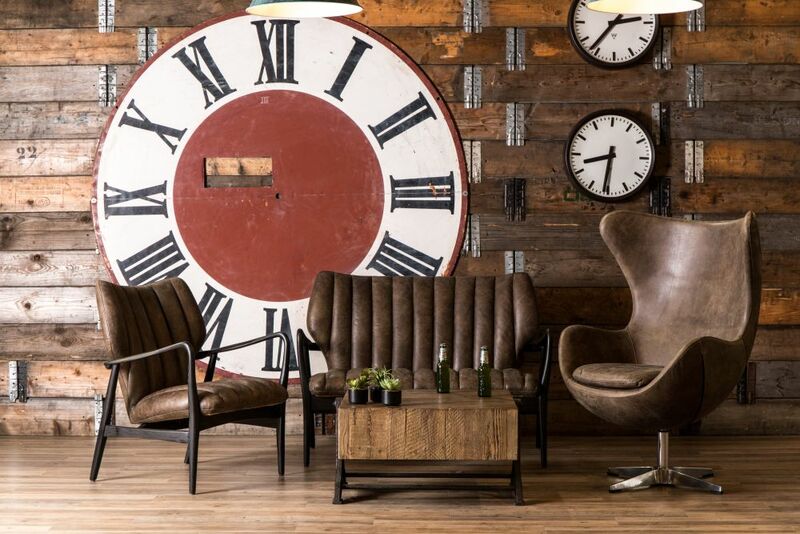 Originally designed in 1958 for the lobby and reception areas of the Royal Hotel Copenhagen, the egg chair continues to bring a sophisticated presence to almost any interior. 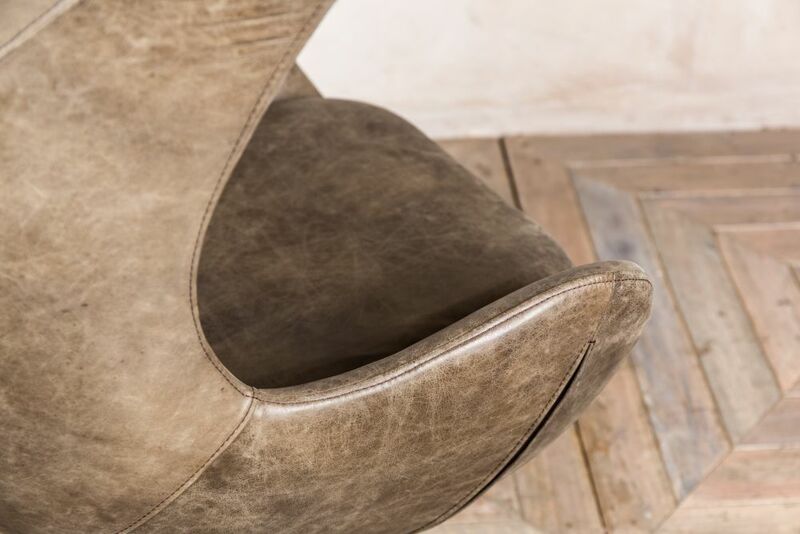 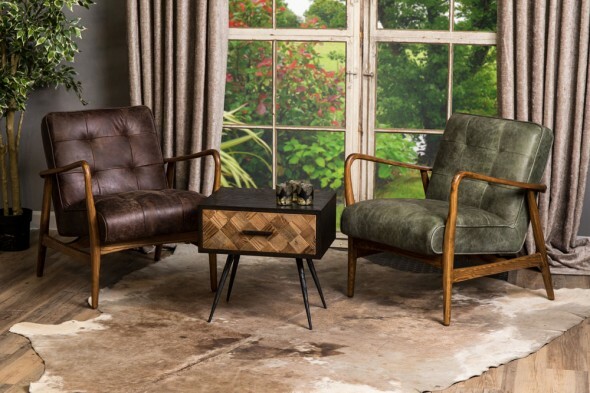 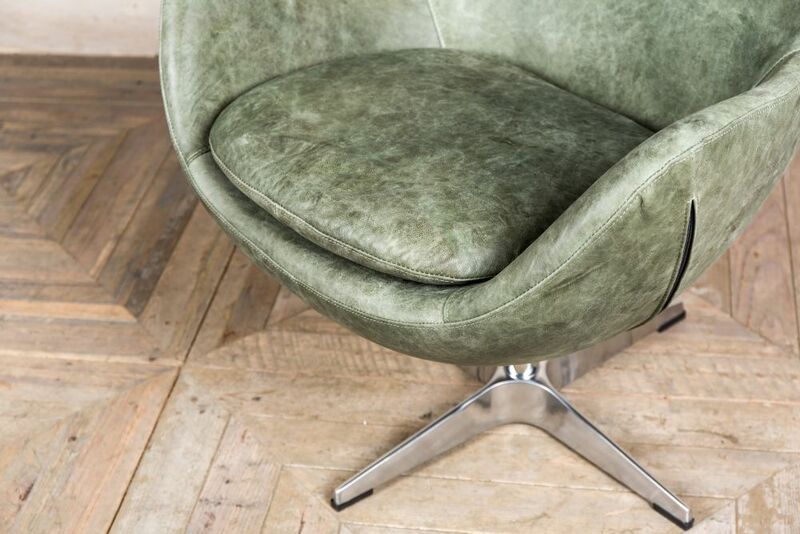 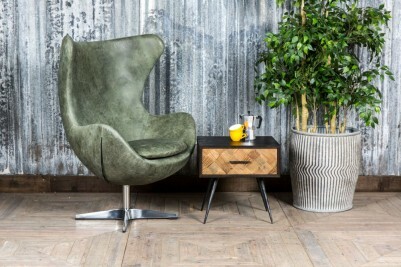 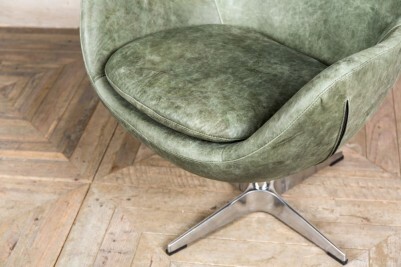 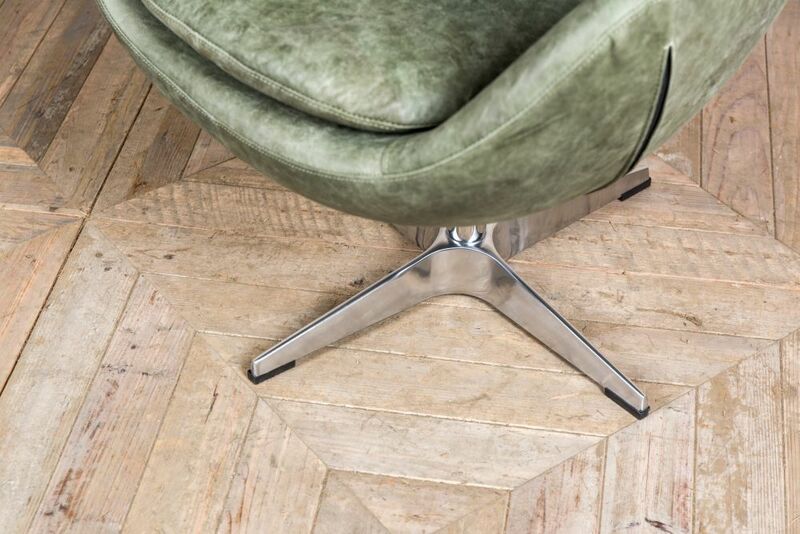 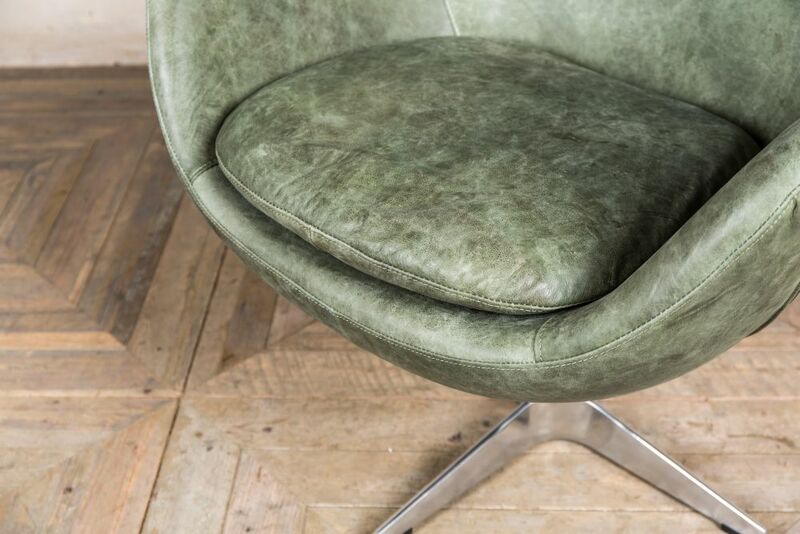 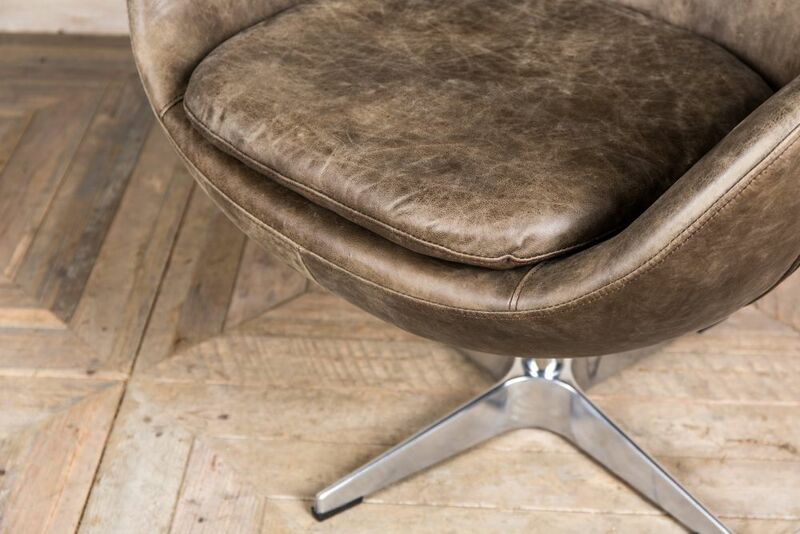 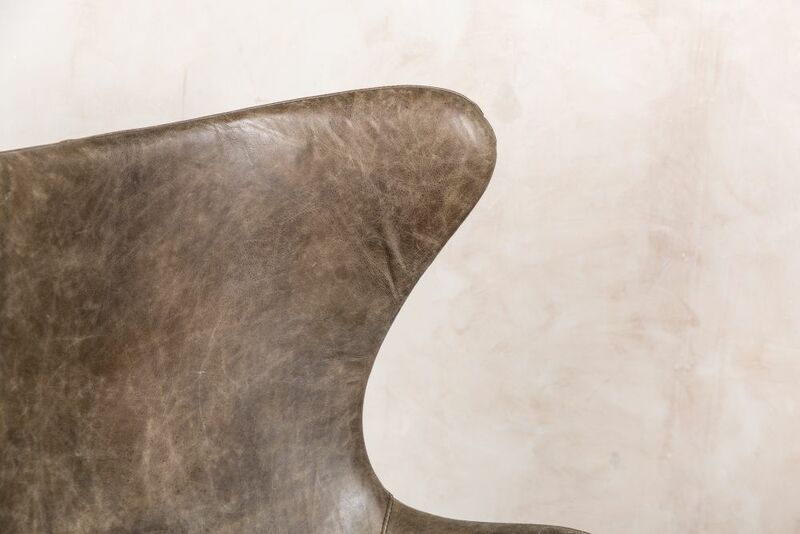 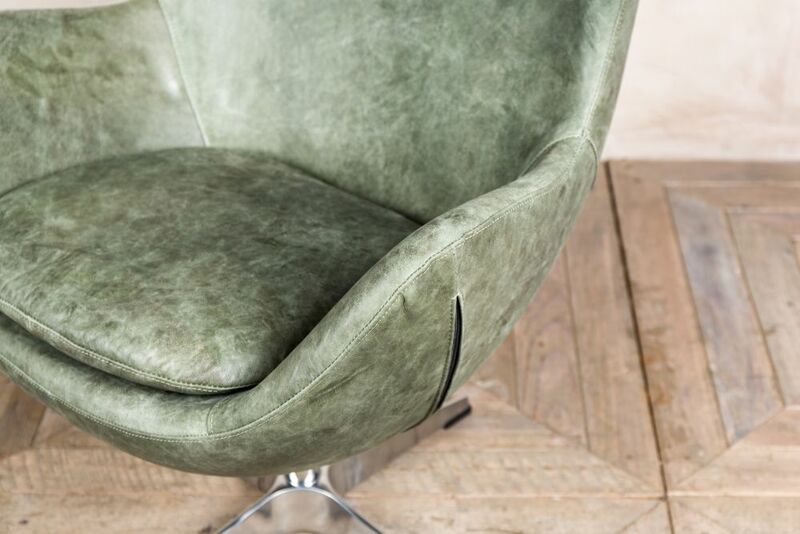 The chair is available in two colours: matcha and conker brown. 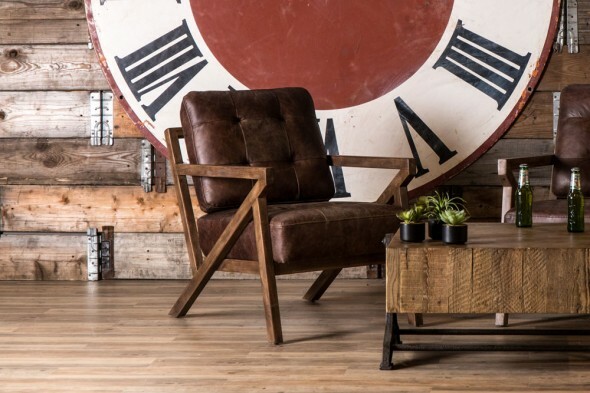 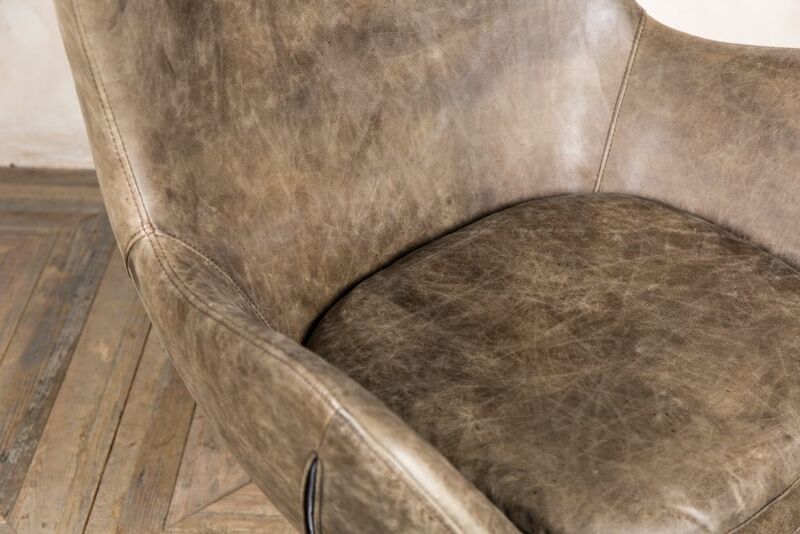 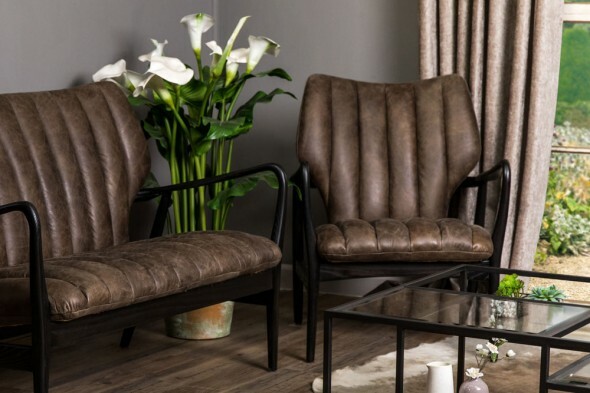 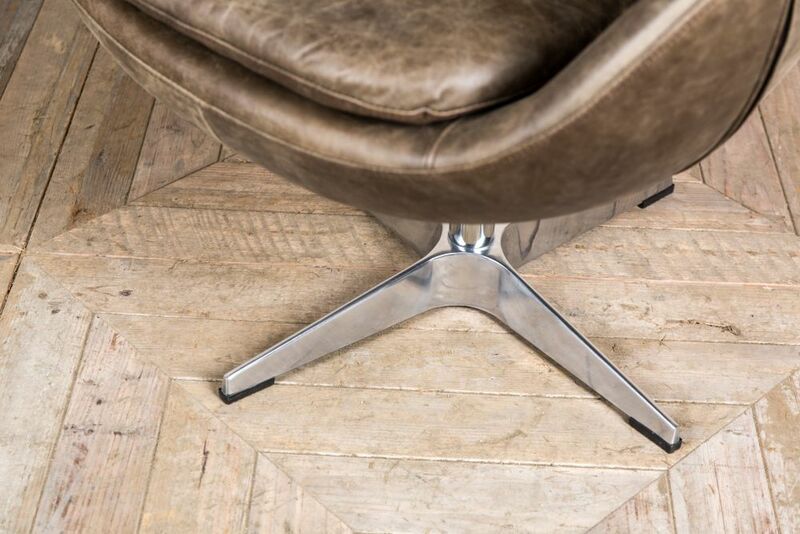 The leather upholstery is slightly distressed to give it an aged appearance. 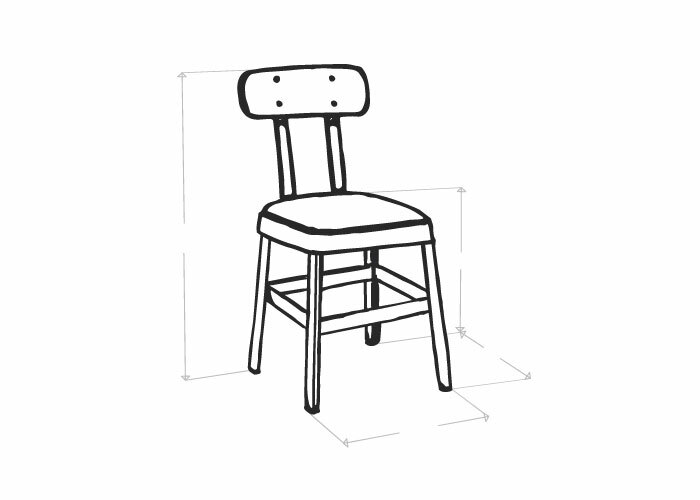 The chair also comes with a removable cushion for added comfort.